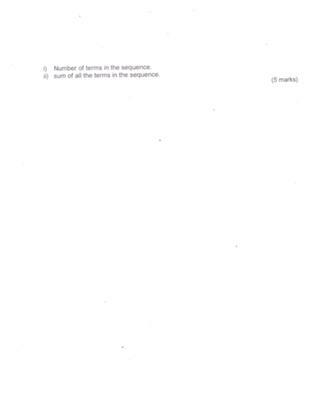 Sequence: Arithmetic & geometric, Annuity, Compound Interest, Promissory Note. I'm can't define the formula in the question. hope u can solve it for me with the complete worksheet and with formula. Comments for Sequence: Arithmetic & geometric, Annuity, Compound Interest, Promissory Note. wut the formule i can use it? 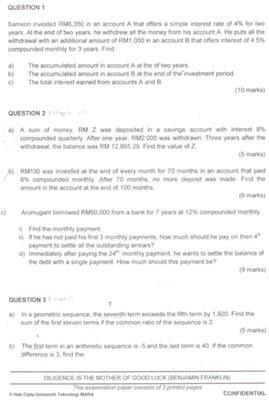 can someone try to solve it question number 2? ?